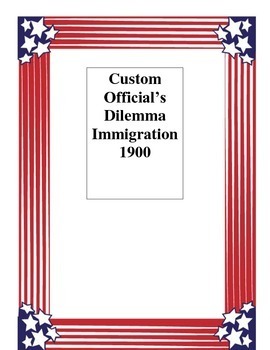 This is an excellent group discussion activity that I give my class when we are learning about Immigration and Ellis Island. Have students answer the questions on their own and then share their responses in a small group or whole class scenario. Watch the sparks fly! An excellent activity for immigration and the idea that everyone should enjoy unlimited access to the Unites States.